Premarital agreements, more commonly known as prenuptial agreements, are agreements that are entered into prior to marriage and dictate the distribution of property in the event of a dissolution. In these articles you will learn about the advantages — and limitations — of a premarital agreement. 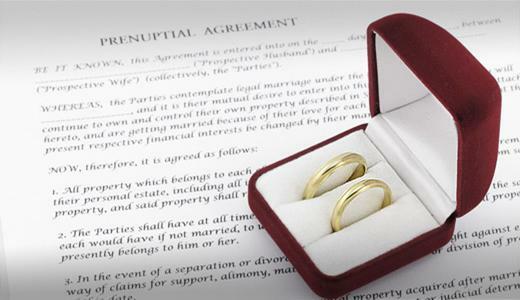 What Can’t Be Done with a Prenuptial Agreement? What Can’t You Do in a Prenuptial Agreement?